Professional Trainer Louis Awerbuck has been known to say that two things have saved more lives in law enforcement than anything else — bright flashlights and soft body armor. Recent reports about body armor may change that view by many. Veteran body armor manufacturer Second Chance has stopped production of particular models of its vests containing Zylon after bullet penetrations killed one officer and wounded another. The issues here involve life and death and require some historical and factual information to be fully understood. Stephanie Kwolek and Herbert Blades, working for DuPont, discovered paraaramid (Kevlar) in 1965. Kevlar was the beginning of body armor as we know it today as it began enhancement of the stronger, lighter, and more flexible garments. Private industry and the United States government have striven to improve body armor since that time. According to the National Institute of Justice (NIJ) publication Selection and Application Guide to Police Body Armor, a law enforcement officer who does not wear a bullet resistant vest stands a four-teen times greater chance of sustaining a fatal injury than an officer who does wear a vest. 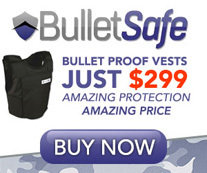 Since the development of ballistic body armor, there have been an estimated 2500 saves. Since man’s first combat, a variety of materials has been used to protect them from injury. This has ranged from shields to protective clothing. Animal skins, leather vestments, and suits of armor worked well for many hundred years considering the crude weapons used—until the advent of gunpowder. Man quickly learned the difference between what we now know as coverand concealment. Soft body armor is designed to stop most low and medium velocity handgun bullets. It is constructed of very strong fibers designed to absorb and disperse the energy of a bullet impact. The National Law Enforcementand Corrections Technology Center Guide to Police Body Armor describes how bullet resistant vests work: "When a handgun bullet strikes body armor, it is caught in a web of very strong fibers. Long strands of fiber are interlaced to form a net." Gangsters learned what armies of the middle-ages learned and discarded the bulky, heavy body armor. Bulky vests (flak jackets) were designed and worn by the military throughout WWI and WWII. They were especially favored by bomber pilots and crews for protection from heavy flak. The National Institute of Law Enforcement and Criminal Justice, the predecessor to the National Institute of Justice(NIJ), began research into light weight armor that law enforcement and the military could comfortably wear. 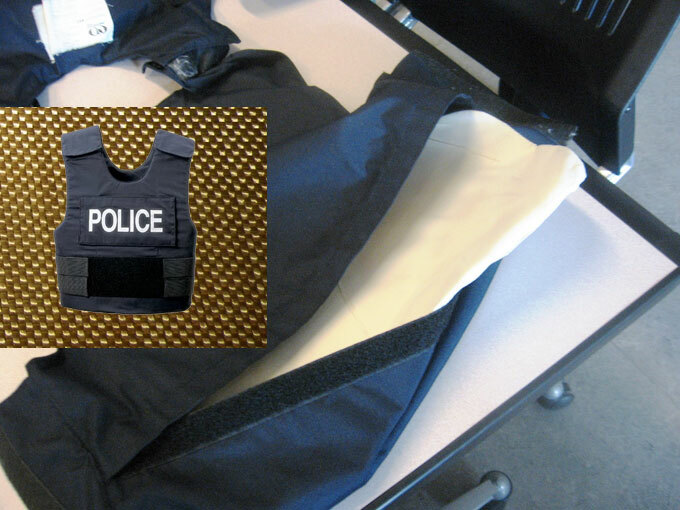 Nylon was the early favorite until the NIJ technology assessment recognized thepotential of Kevlar as vest material. It proved to be five times the tensile strength of steel by weight. Another phase investigated the effects blunt trauma, and the final phase involved the effectiveness and “wearability.” By 1975, field testing was conducted in fifteen major law enforcement agencies. The goal was to ensure a 95% probability of survival after a .38 caliber bullet strike at 800 feet-per-second. The testing concluded in 1976 with the realization that a vest could be worn for a full shift and be resistant to common handgun bullets. The body armor industry took off at a greater pace. Many law enforcement agencies developed policies on use of bodyarmor. These policies commonly required that all uniformed patrol officers will wear the department issued body armor at all times while in uniform. The vests were required to meet current standards of the NIJ. There are several methods of construction by the various companies. A ballistic panel is made of many layers of ballistic fabric. It may also be made of composites and coatings and a variety of stitching. Each manufacturer chooses their ballistic materials and manufacturing process for their end product. How-ever, all must conform to the NIJ rules.As many as five new fibers were offered during the last several years. These were offered as a lighter, more flexible, more “wearable” vest. Kevlar was the main component until Allied Signal/Honeywell developed spectrafiber and Shield Technology composites including Gold Shield and Gold Flex. Twaron was the next offering. It was introduced by Akzo Accordis Nobel. It, as the other fibers, uses the spun fibers to absorb the bullet’s energy. Twaron was one of the first to successfully reduce the overall weight of the vest, enhancing comfort and wearability. Zylon was the next offering. Zylon was introduced by Toyobo Company, Ltd. of Osaka, Japan in 1998. (It was invented by Dow Chemical as a high performance polymer called PBZ and sold to Toyobo.) It has a high tensile strength and provides ballistic protection at a low weight and improved comfort. Some say it is twice as strong as Kevlar. Toyobo sells the filament yarn(in varying thicknesses) and companies either weave the fiber into a fabric or make a composite by using layers of resin, according to Armor Holdings Company. Several body armor manufacturers made vests with Zylon: PointBlank, PACA, Safariland, AmericanBody Armor, and others. However, Second Chance had an eighteen month exclusive agreement with Toyobo for Zylon according to Second Chance Spokesman Gregg Smith. Zylon is where the problems seem to begin. The industry continued to work hard to make vests lighter and stronger for the comfort and safety of the customer. Something went awry.Toyobo reported to its customers in early 2001 that the Zylon fiber would lose some strength after exposure to high heat and high humidity. According to Technical Information (Revised 2001.9) Pro Fiber Zylon by Toyobo: “The strength of ZYLON decreases in the condition of high temperature and high humidity… The strength of Zylon gradually decreases even at the temperature of less than 100 degrees C in high humidity conditions. Zylonfiber should be stored free from high humidity at normal room temperatures… The strength of ZYLON decreases with the exposure to sunlight… The residual strength of ZYLON after 6 months exposure today light is about 35%. ZYLON should be protected not only from ultraviolet light but also from visible light.” The final page notes: “The information in this brochure, to the best of our knowledge, is accurate and correct… Users determine for themselves the suitability for their intended use of the material… The materials are to be stored free from exposure to light.” Basically light, time, moisture, and heat (heat approximately five degrees over body temperature and 80% relative humidity level) degraded the ballistic protection of the vests below the five year warranty standard in the industry. The temperatures and humidity levels are easily reachable by officers in normal wear.BSST, a German armor manufacturer recalled all of their Zylon-based vests and reported their findings in July of 2001 to their consumers: “BSST believes that test conditions can be reached during daily use of body armor, even for a limited period of time.” The BSST website offers a time line: July 18, 2001 DSM, the sole manufacturer of Zylon UD holds introduction of Zylon UD - July 19, 2001 recalls by BSST bodyarmor - July 20, 2001 “BSST decided to recall already delivered (Zylon) vests as a precaution.” - November 30, 2001 reports decreased performance of Zylon “is greater than expected. The latest results of the aging test with Zylon are causing great concern.” On May 16, 2003, US Armor goes on record that it would be irresponsible for them to produce any Zylon-based body armor. They also say that “…our path was clear and there was no other decision to be made; we were not going to take the safety risks that appeared to be inherent with the use of Zylon. While our logic was not shared by the other major armor manufacturers, two ballistic weavers indicated their concern by requiring Zylon Liability Waivers from armor companies, something never done before.” (emphasis added.) “We’ve never used Zylon. 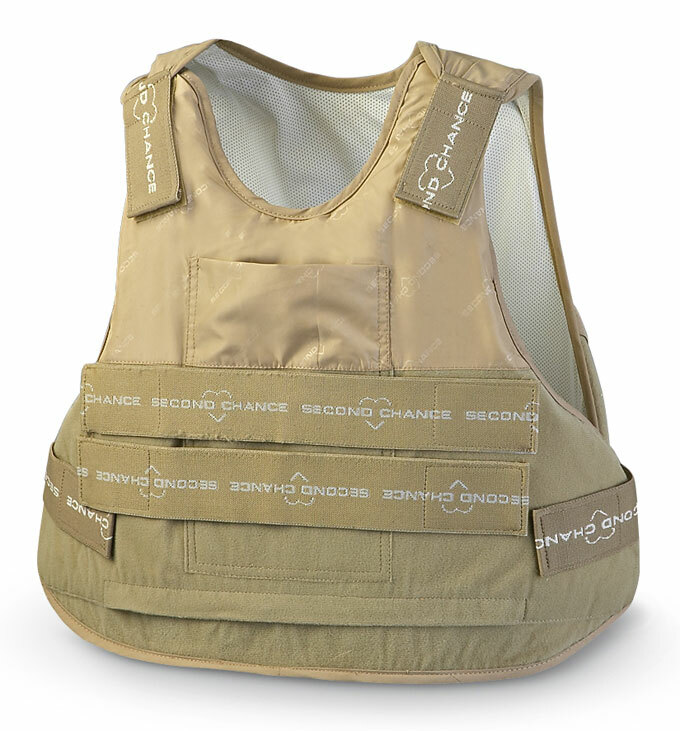 Our vests are Kevlar, T-Flex and Gold Flex” commented HS Armor President John Holland. “Zylon seemed too good to be true when it came out, and we had heard rumors as to problems with UV light. It ended up being a water problem.” The military is the majority of the market for HS, but they do offer a covert line in Level II and IIIA certified to NIJ Standard 0101.04. They only offer covert vests with full side wraps. Sadly, the reports from Toyobo and its interpretation by BSST and US Armor were proven true on June 13, 2003 in Oceanside, California, when Officer Tony Zeppetella’s Second Chance Ultima II vest was penetrated two times by a 9mm. An Associated Press article of December 23, 2003 stated “An autopsy report said one of these shots was likely fatal.” The article also said, “Second Chance contends Zeppettla’s Ultima II performed to federal standards. The fatal bullets struck about an inch from the vest’s edge. For certification tests, bullets are fired no closer than three inches from the edge (emphasis added) so the destructive energy can dissipate, company (Second Chance) spokesman Gregg Smith said.” Ten days later, Officer Edward Limbacher was shot in the abdomen with a .40 caliber pistol in Forest Hills, PA. The bullet penetrated center mass of the vest and remains in the officer. Toyobo came out with additional reports in October, November, and December 2003. The October report told law enforcement officials that “it firmly stands behind Zylon and believes it is asuperior fiber for personal body armor manufacturers…” Toyobo explained that it is concerned by Second Chance Body Armor’s comments that the Zylon vestswere wearing out sooner than anticipated. They note that Second Chance is alone in the decision to withdraw the Zylon vests from the market. (emphasis added) As to their 2001 report: “Tests we have conducted on Zylon fiber were intended to estimate the aging performance of the fiber itself, not to assess the actual ballistic performance of any individual manufacturer’s final product.” They encouraged the end manufacturer to conduct tests to determine the actual performance of their vests. Toyobo also notes it will offer NIJ its technical assistance intesting. The November report continued comments that Second Chance was the sole manufacturer to discontinue use of Zylon in vests. Further more, Toyobo encouraged NIJ to seek input of the various manufacturers to explain the difference of their composition and design of vests. They go on to point out that they reported the results of their testing of Zylon in July 2001 and August 2001 to the body armor manufacturers, specifically Second Chance. Moreover, in that same letter, Toyobo specifically counseled Second Chance that it should "please share this information with your customers." Continued reports to the body armor industry concerning the degradation issue continued from Toyobo on a quarterly and semi-annual basis since January, 2002. In December, 2003 Toyobo corresponded again with its customers. "Zylon is Not a Defective Product." Toyobo believes that Second Chance has adesign issue, not a defective product issue. WHAT HAS BEEN DONE BY THE INDUSTRY AND GOVERNMENT? They also offered a matrix to determine the credit offered for the user to purchase a Monarch or Monarch Summit (Twaron) vest ranging from 0% for a 60 month old vest to 98.3% credit for a 1 month old vest. Second Chance’s Gregg Smith said that the replacement "Performance Packs" were made of Kevlar and added 1/10-inch to the front and back panel. Smith went on to say that the delivery time is thought to be approximately thirty days. (Reports from officers in the field seem to indicate the upgrade takes significantly longer.) Officers wearing the Performance Pack gave mixed reviews as to its comfort and the additional bulk. "When it (the Performance Pack) came packed in a large envelope I began to worry if it would do its job. I’m anxious to get my new (Twaron) vest. I’ve lost faith in Second Chance," said Cary Clanton, an officer with a police department in the Midwest. When asked about the founder of Second Chance, Richard Davis, Smith said that Davis stepped down in June 2003 as Second Chance President and was back doing what he loves to do - invent. "He’s just an inventor and tinkerer. That’s what he has always done best." Davis designed the concealable bodyarmor after being shot delivering a pizza in Detroit in 1969. He was widely known for his demonstrations of shooting himself to show his confidence in the vests. Paul Banducci stepped up from Vice President to President. He had come from DuPont Corporation. Other manufacturers still make and offer their Zylon vests. These companies include Safariland, Protective Apparel Corporation of America (PACA), Armor-shield, Gatorhawk, Reliance Armor, Point Blank and others. The Justice Technology Information Network reported on November 7, 2003 that they were beginning “to investigate the effects of naturally occurring environments on personal body armor andits component materials.” The NIJ would monitor and assist with the process. Specifically, they were to investigate the effects of temperature and moisture on Kevlar, Spectra, and Zylon. Reportedly the Phase 1 Testing is complete and the data is being analyzed. Second Chance’s Smith advised that the testing completed on Pennsylvania Officer Limbacher’s vest by NIJ, "…found also degradation in the used Zylon fiber according to their preliminary test results. And this is what we were finding." We tested used vests for over two years and that was what was disturbing to us. Although the test results were inconsistent, we were finding degradation was accelerated from what the data that Toyobo at that time had given us. Now then they (Toyobo) later came back in October of 2003 and confirmed that, they disclosed to us for the first time as well as other bodyarmor manufacturers, that even undernormal shelf life conditions Zylon degrades. And they also revealed at that time even further degradation. Smith also said that Second Chance had collected in excess of 200 vests from 37 agencies from various climates for testing since fall of 2001. 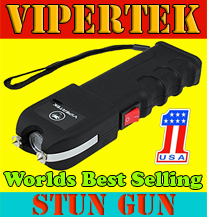 United States Attorney General John Ashcroft announced November 18, 2003, "…a Department of Justice initiative to address the reliability of body armorused by law enforcement personnel and to examine the future of bullet-resistant technology and testing." The U.S. Attorney General ordered the NIJ to begin an immediate examination of Zylon-based vests, new and used (used for the first time in NIJ History), to test the performance upgrade packs offered by SecondChance, and to examine their own certification process. They are to report back within 90 days. He also ordered a "Summit" within 120 days with all levels of law enforcement, the vest industry (fabric and garments), and the peopleinvolved in testing of vests. In the pressrelease, Ashcroft said, Summit participants will review the information available from NIJ’s examination, including the suitability of Zylon-based bullet-resistant vests for law enforcement use and the effectiveness of NIJ’s certification process. Summit participants also will consider the future of bullet-resistant technology and testing technology. Reportedly, the 2004 Federal Budget awaiting President Bush’s signature contains comments expressing concerns about the funding of NIJ and its vest testing program. The Bulletproof Vest Partnership Program offered by the Department of Justice (A grant available to law enforcement agencies reimbursing them for 50% of their body armor purchases) has adapted their application process to include additional emergency funding for replacement of the Zylon vests. The monies requested here are in addition to that requested for initial purchase of body armor. WHAT HAS BEEN DONE BY THOSE WHO WEAR THE VESTS? The Fraternal Order of Police (FOP), International Association of Chiefs of Police (IACP), various state FOPs and Sheriffs Associations have begun investigations into the Zylon issue. Numerous Attorneys General have begun investigations or filed suit against SecondChance, Toyobo, and other body armor manufacturers. 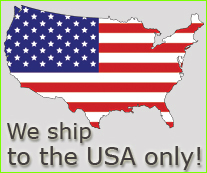 These states include Idaho, Ohio, Massachusetts, Arkansas, Georgia, Illinois, Connecticut, and others. Many seek refunds of the hundreds of thousands of dollars spent to purchase vests to keep their officers alive. The New York Times (December 26, 2003) quotes the Connecticut Attorney General commenting that Second Chance is playing "real-life Russian roulette" with the police wearing their Zylon vests. There is concern in Central Lake, Michigan, according to The Detroit News, thatSecond Chance "…could be hit with sig-nificant financial losses if pending cases go against it." Officials in western states are attempting to force changes in the design process through the pocketbooks of the armor companies. Michael Wallace is the State Procurement Officer of the State of Colorado. In his letter to the Executive Director of the IACP and the President of the Colorado FOP, Wallace stated, "No manufacturer or government agency has done conclusive tests to prove or disprove the possible degradation issues, nor have tests been done to prove that any vest produced today can expect to protect peace officers for the 5 year standard." Wallace noted that the NIJ only tests new, unused vests and officials want used vests to be tested. "Two manufacturers notified me by phone that they would not participate in the testing. The other manufacturers did not respond." He was requesting support for a solicitation that addressed the issues of environmental degradation of vests and testing of new and used vests. Signatories in this Colorado Armor Initiative so far include Utah, Arizona, Oklahoma, New Mexico, Alaska and Hawaii. It appears that the vest industry has been aware since early 2001 of serious question of the reliability of their Zylon-based vests. Second Chance did not discontinue the Zylon vests until September 2003 - three months after Tony Zeppetella was killed by two 9mm pistol bullets which penetrated his eight-month-old Second Chance Zylon vest and Edward Limbacher was seriously wounded by a .40 caliber bullet which penetrated the front panel of his seven-month-old Second Chance Ultima Level II-A (Zylon) vest. DOJ advised the public in November of 2003 that they were reviewing police body armor. Second Chance believes they have taken the lead in looking to resolve the issue, but it put them squarely in the middle of the controversy. Smith said, "…Second Chance does not want to seem Holier than Thou. Officer safety is the bottom line for Second Chance…. Our position is, we feel that the fundamental Zylon fiber is flawed. We were not told about it in time. We weren’t told until October of 2003 that there was even further degradation than what Toyobo had originally said, or that there was even shelf life degradation." They hadn’t revealed that at all. When all this information came in, even prior to that because we went public with this in September because of our test results there was never any question that the Company was going to take the lead on this. And we are out there all alone. "We are a lightning rod for all these lawsuits." Second Chance blames Toyobo and claims that Second Chance is punished for pointing out the issues with Zylon. Toyobo claims that Second Chance and their method of manufacture is the problem. It seems companies in the soft bodyarmor market have taken great risks (and some continue to do so) with the lives of those on the street protecting them and their families. There is issue with the NIJ as well for their archaic methods of testing body armor. Ask alaw enforcement officer’s spouse about what he or she thinks of the risk the companies and NIJ are taking with their loved ones. Dr. Gary K. Roberts is well known and respected in the wound ballistics field. He is on staff of Stanford Medical Center, a reserve peace officer, and a Lt.Commander in the U.S. Navy Reserve. As one of the leading experts on wound ballistics, he offered the following comments to a northern California Sheriff Department at the conclusion of testing of various vests conducted in September 2003: "Avoid Zylon!" Perhaps when Toyobo institutes improved manufacturing processing Zylon will become an outstanding armor material, but at this time, Zylon is NOT an acceptable vest material option. “Limit laminate materials, like Spectra, in soft body armor applications, as they do not provide as much protection against contact shots as woven p-aramids and they are subjectively less comfortable to wear. 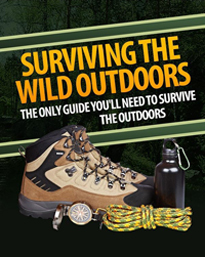 "Use vests made of proven woven p-aramid fibers like Kevlar and Twaron. These vests continue to provide adequate protection many years past their warranty period." Each officer and agency must decide if they desire a thinner, more "wearable" vest or a slightly thicker vest that provides better protection against both non-ballistic, blunt trauma injuries that can occur inhand-to-hand confrontations, MVAs (motor vehicle accidents), and industrial accidents, as well as better protection against certain types of ammunition. This is an individual choice that depends on expected threat types and wear environment. "My personal preference is thicker, level IIIa vests (with additional hard armorinserts, as needed) for uniformed Patroland Tactical environments and thinner, level II vests for discreet wear in other situations." Prudent advice.